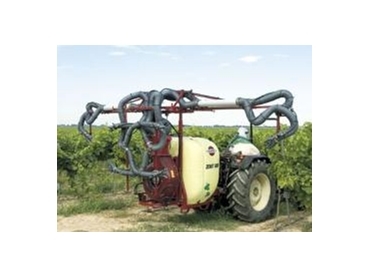 The design of the Hardi mist blowers reflects the growers’ continuous demand for sturdiness and easy operation. Crop protection is a question of precision, and when Hardi develops mist blowers, the air volume and air distribution are of great importance. Hardi diaphragm pump: Economic maintenance. Easy to operate. Self priming without risk of damage to the blower if it runs dry. Air kit: The compactly designed centrifugal blower provides a high air pressure and volume which enable penetration and highest possible sedimentation of the spray liquid in the canopy. Spraying technique: Zenit can be equipped with hydropneumatic spouts or pneumatic atomizers.